Cotton is tree free, renewable, recyclable, recovered, energy efficient and natural. Cotton gives archival strength, durability and the paper's velvet, opulent feel. We strongly recommend cotton fiber papers for legal documents. 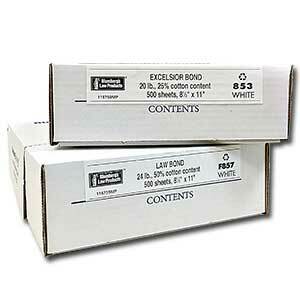 Copier paper will discolor and become brittle in a few years. Use cotton papers for all signed documents and papers sent to clients. All these papers are compatible with laser printers and copy machines. 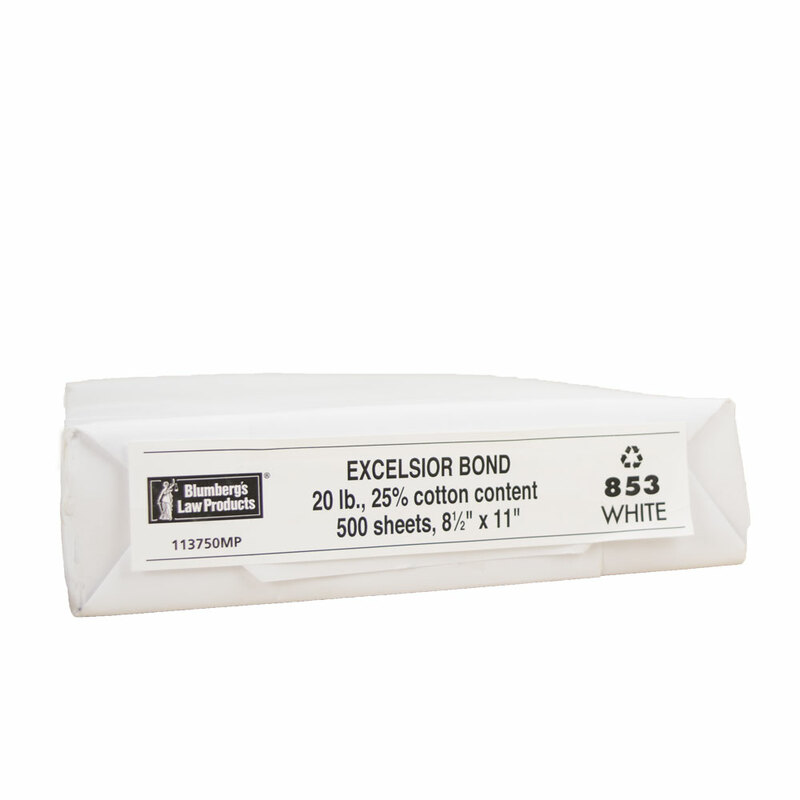 Our House Brand EXCELSIOR BOND is a great value!